With April comes the warm weather and the return of the winter visitors to their home locations. April also marks the start of the Casa Grande RC Flyers summer flying schedule, which will continue until next November. The club members can fly and use the field any day they desire; however, those looking for the company of fellow flyers tend to fly on Saturday mornings over the summer months. In April they might start about 8:00 a.m. but as the weather gets warmer and the days get longer, flying starts about 6:00 a.m. and usually finishes by 8:00 a.m. on most Saturdays. The pilots fly all kinds of model aircraft including helicopters, sailplanes, jets, biplanes and regular fixed wing models, and they enjoy answering questions and visiting with guests. Robson Ranch residents attending the club events are always welcome. Those who are early risers should watch the flying on Saturday mornings in the summer. There are benches at the club field and also free parking and toilet facilities. The Casa Grande RC Flyers and their flying field should not be confused with the field and club located within Robson Ranch. 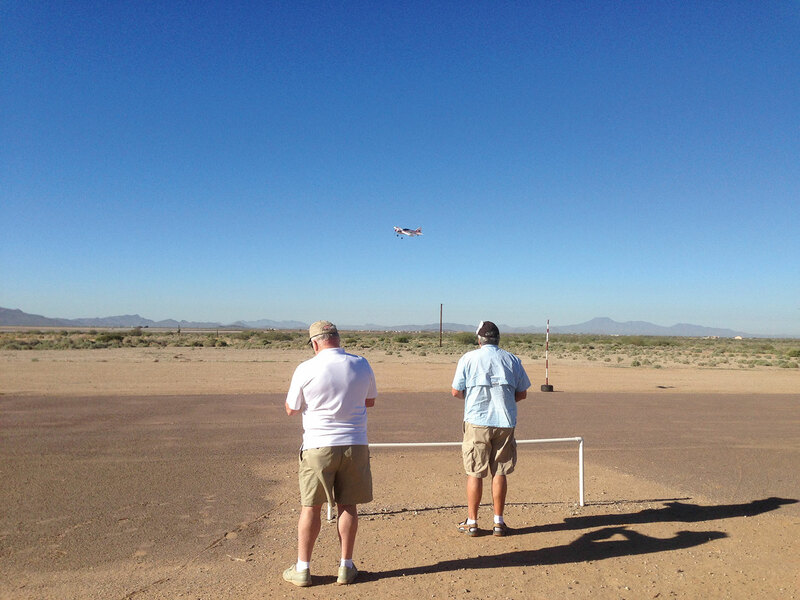 Some residents reported going to the Robson field in error when trying to attend Casa Grande RC Flyers events. Directions to the Casa Grande RC Flyers field are found on the club website at www.CasaGrandeRCFlyers.com. Membership in the Casa Grande RC Flyers is open to anyone wanting to fly or learn to fly radio controlled aircraft, regardless of their residence. Free lessons are offered by any of eight AMA certified instructors. The first year club dues are $40 per calendar year, and renewal dues are $25 annually. Membership in the Academy Of Model Aeronautics (AMA) is required because AMA membership provides the pilot with the required insurance coverage. Details about both the AMA and the Casa Grande RC Flyers are on the club website as well as a list of all club activities and for other area AMA clubs. Club members also receive discounts on purchases from area hobby suppliers when their membership card is presented. The Casa Grande RC Flyers is an Arizona non-profit cooperation dedicated to sharing the joy of flying with the public and giving back to the community by supporting worthwhile charities. For more information about the club contact Alan Friedman, the club president, at his Robson Ranch home or visit the club website: www.CasaGrandeRCFlyers.com.